This pair of thin 22 inch Meinl Symphonic cymbals add a cutting edge to any ensemble. Whether they're used in an orchestra or marching band, these lighter and higher pitched cymbals will offer a piercing and brassy tone. Using B20 material (80 percent copper and 20 percent tin) this cymbal offers a medium sustain and medium volume - a great all rounder! 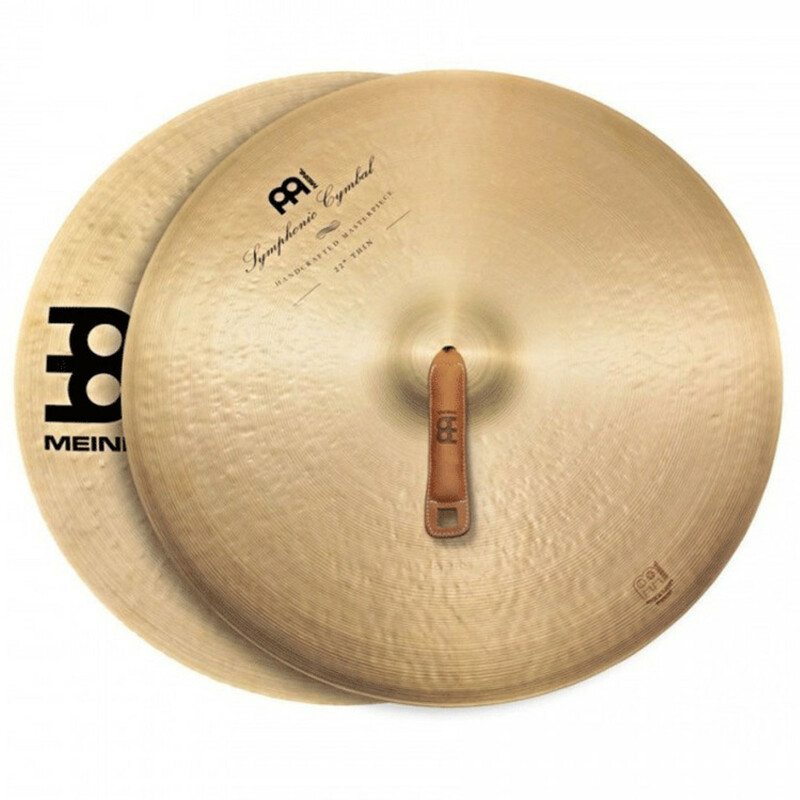 In this Meinl set of cymbals, a metal alloy more commonly referred to as B20 has been used. This simply means that 80 percent copper and 20 percent tin has been used. This is the all important reason for the natural resonant quality of the cymbal and this also gives the volume that this cymbal can create. When combining this with the medium-small 22" diameter and the thinner blade from its lathing, this cymbal creates a sound that is both reasonably high in pitch and also superb in attack. It is very suitable therefore for ensembles with a brighter timbre.